There are a lot of migration articles online that explain how to edit YAML configurations and custom migration plugins, so I am skipping over that. You should be familiar with the full migration concepts first. But before you start the migration process, you will need to clean up a few things from the old D7 site as well as prepare the new D8 site to make it able to take the old data including installing new modules for specific field types. That is what this article is about. By cleaning up data before and after migration things will go more smoothly, minimizing the need to write complicated YAML or PHP scripts. IMPORTANT NOTE: Do not work directly from the live D7 site. It’s best to backup and export your D7 database to a new database first. This way you will be able to clean up the database content with a few SQL commands. Now for the workarounds… including some helper SQL commands I use when doing a Drupal 7 to Drupal 8 migration. 1. The annoying “value cannot be NULL errors” in body_value on import. This can happen in any field, but for this example, I will use the “body_value” column in the “body__value” table. For the sake of this example, this field is required by the default body field in D8. In the old D7 database, “body_value” sometimes may be NULL. The simple fix, if you can get away with it, is specifying a default value. Maybe it can be a special string that you can go back after the migration and search with a simple SQL query to find all the missing values so that you can replace with actual content. Option 2 is to copy content that can be used from another field or column. In my latest migration, the “body_value” column was NULL in a large number of records, but I did have a value I could use in the “body_summary” column in every single record. The quick easy fix is to run this query in the D7 database. In my case, it fixed 400+ records not only making the import smooth, but also correcting the storage of the content. If you just want to set the value to some default value, you can. Here is another useful one if the D7 site was in English only. It will set all the records to have en(English) as default language instead of und(undefined). 2. Importing Redirects issues to the new site. 3. 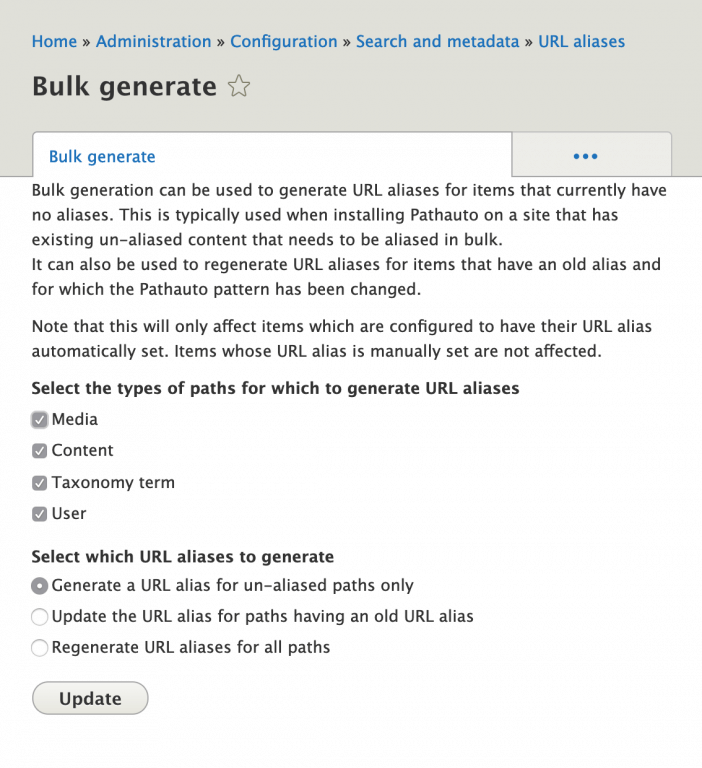 Importing URL Aliases from Drupal 7 to Drupal 8 is easy. Ok, this requires a little more work than just running a SQL command, but I promise it will save you a lot of headaches as opposed to doing the Drupal migration because the aliases may create all kinds of problems. Export the table “url_alias” from the D7 database and import into the new D8 database using your preferred database management application. Check and test that all your aliases are working. In conclusion, if you take the time to clean up your data before the migration, things will be a lot easier. Also, if later you need to pull an updated database from the old site, saving all your SQL commands and tracking your process, you will be able to clean up a fresh database in no time for re-import.